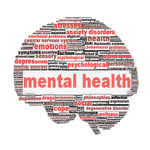 Mental illness affects millions of Americans, left untreated mental health disorders can be severely debilitating. What’s more, mental illness that goes untreated can lead people to have suicidal thoughts, and every year many succeed in committing suicide. At college campuses across the United States there are thousands of students suffering from mental illness, many of whom do not seek help which can be a dangerous decision. While mental health problems have less of a stigma than they once had, there are still a number of people who fear how they will be treated if others know about their condition. The MindKare kiosk is the first of its kind in the United States and hundreds of students have already taken advantage of the service, according to the article. It is great that students are seeking help, especially when you consider many people self medicate with drugs and alcohol which only makes their problem worse and it is estimated that one in 10 college students have seriously considered suicide. There has been more talk than usual about gambling addiction, in the wake of the three winners of the $1.5 billion Powerball. The allure of such a prize is enough to disrupt people recovering from gambling addiction, a mental illness which takes a back seat to the more common substance related addictions. Like all addictions, gambling addiction is not well understood but left untreated it can bring people to the brink of financial ruin, and disrupt people’s lives to the point of breaking up marriages. While there are lotto's in 44 states, the majority of traditional gambling takes place at casinos across the country. People, even non gambling addicts, will spend countless hours at blackjack tables and slot machines, hoping that the next hand or next spin will be the one that pays off. It is a dream that rarely comes to fruition, yet people will continue to invest their hard earned money against great odds of a return. It turns out that the dream of winning big may not be the only thing gluing gamblers to their chair for hours on end. 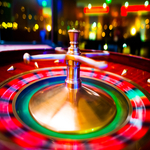 New research suggests that the music and flashing lights in casinos can lead to people making risky gambling decisions, Medical News Today reports. The findings come from the creation of a rat casino, which was published in the Journal of Neuroscience. "I often feel that scientific models are decades behind the casinos," says Catharine Winstanley, an associate professor in the Department of Psychology at the University of British Columbia in Canada. "I don't think it's an accident that casinos are filled with lights and noise." The researchers say that gambling cues are thought to have an important hand bringing about their addictive nature, according to the article. Winstanley and her colleague Michael Barrus, PhD observed 32 male rats that gambled for treats. They point out that rats usually become aware early on how to stay clear of options that are risky. But when flashing lights and noise are brought into the equation, the rats' behavior changed. Giving the rats a drug that blocks a particular type dopamine receptor that has been associated with addiction countered the effect of the lights and sounds, the article reports. However, the drug had no effect on the gambling rats that were not exposed to the stimuli. "This brain receptor is also really important to drug addiction," says Barrus, "so our findings help support the idea that risky behavior across different vices might have a common biological cause." If you are having trouble watching the video, please click here. With the growing acceptance of marijuana use across the country, especially in the western states, there is a greater need to address marijuana dependence and the treatment of addiction. California is the only state left on the west coast that has not legalized the drug for recreational use, but that is expected to change this year when California's citizens vote in November. 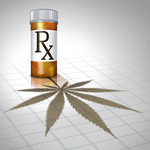 Currently, there are no accepted or approved medications for the treatment of marijuana addiction. However, new research suggests that the drug topiramate may curb the amount of marijuana heavy smokers use, but the drug caused serious side effects for some, Science Daily reports. The findings were published in the journal Addiction Biology. Robert Miranda Jr., associate professor (research) of psychiatry and human behavior in the Alpert Medical School at Brown University said that motivational enhancement therapy (MET) is often times not enough to curb marijuana dependent patients' use, according to the article. However, the study found that when patients were given topiramate in conjunction with MET a statistically significant benefit could be seen. "The positive news is it did seem to have some effect and that effect seemed to really be focused on helping people reduce how much they smoke when they smoke," said Miranda, a member of the Center for Alcohol and Addiction Studies in the Brown University School of Public Health. "It's promising in the sense that it suggests that medications can help, but it asks questions about for whom it might be most effective because many people can't tolerate the medication." Abusing marijuana, particularly during one’s teenage years, can result in long term side effects right into adulthood. If you or someone you care about abuses marijuana please contact Celebrate Hope at Hope by The Sea. Our Christian track incorporates compassionate, faith-based addiction programs for clients battling substance abuse. Strangely there is debate still occurring which should have been settled decades ago; the argument of how much alcohol can be consumed by pregnant women before it becomes risky for the baby? The majority of experts will tell you that there isn’t any amount of alcohol that is safe for a fetus. The problem is that some women, many of whom may have a problem with alcohol, will drink while pregnant without any apparent consequences at the time of birth. Such occurrences give people the idea that some alcohol can be safe. But the truth of the matter is that researchers are constantly finding new disorders that can be associated with drinking while pregnant, and many of which occur under the skin and may not rear themselves until later in life. Fetal Alcohol Spectrum Disorder (FASD) is an umbrella term which covers any health consequence that can be linked to an expectant mother consuming alcohol. Some of the disorders are visible; many of them are not which makes it increasingly harder to identify potential problems. New research has shown 428 conditions that co-occur in people with FASD, ScienceDaily reports. The research was at the Centre for Addiction and Mental Health (CAMH) and the findings were published in The Lancet. If you or a loved one has an alcohol use disorder, it is best to seek help, especially if you are a female who plans to have children someday. 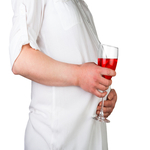 If you are pregnant, and know that you have a problem, seek help immediately - continued drinking is not worth the risk. Celebrate Hope Christian alcohol rehab, we’ll conduct a thorough clinical admission evaluation. We’ll discuss your medical history; evaluate your health and work to tailor or find a comprehensive treatment program for your specific needs.